Installation Services, Bench Repairs, On-Site Service Calls, Emergency Service Calls, Phone-In Service Support, Preventative Maintenance Programs, AV Equipment Rentals, AV Equipment Technical Operators, Equipment Product Training, Spare Parts and Installation Materials. Whether it’s equipment we’ve supplied or you’ve sourced it elsewhere, we’ll install it for you. Renovating and need your AV equipment removed? Call us, we offer de-install services too, and can even store your equipment in a safe and secure location until you need it re-installed. Our service department is equipped to repair all makes and models of audio visual, presentation, audio-video conference products. From assembly to integration to maintenance, and repair we can assist. Our bench repair rate is $95.00 per hour plus parts as required. For clients that don’t have their own maintenance staff we can dispatch a service repair technician to your facility. Currently an on-site service call to assess-repair your defective equipment is billable at $200.00 for the first hour, then $100.00 for every hour after that, plus parts as required. 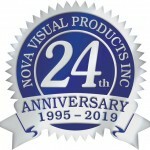 For clients that need 365-24-7 emergency service response Nova Visual Products can assist. Each requirement is different, so we’ll take the time to learn what you need, then respond with a proposal that best suits your individual requests. Sometimes the easiest way to resolve a problem is just a phone call away. It’s even better when that support is FREE. Call us during regular business hours, and you’ll have a response from one of our technicians within three hours of you placing a call with us. We’ve saved our clients thousands of dollars over the years, and we can do the same for you. We can provide preventative maintenance for all makes and models of AV, presentation, audio-video conferencing equipment, regardless of where you got it from. Regular preventative maintenance ensures your AV investment is protected and working for years to come. Nova Visual Products is pleased to be able to offer AV, presentation, audio-video conferencing equipment and service rentals. Whether it be a day, week or longer we can supply the equipment, set it up, provide on-site technical operators to ensure worry-free meetings, and take it away when done. Contact us to discuss your next rental project. Having a conference, but don’t have anyone to setup or to operate your own AV equipment, we can help. Whether it be a day, week or on an ongoing basis, we can provide on-site technical operators to ensure worry-free meetings. Contact us when you need professional technical technicians and equipment operators. 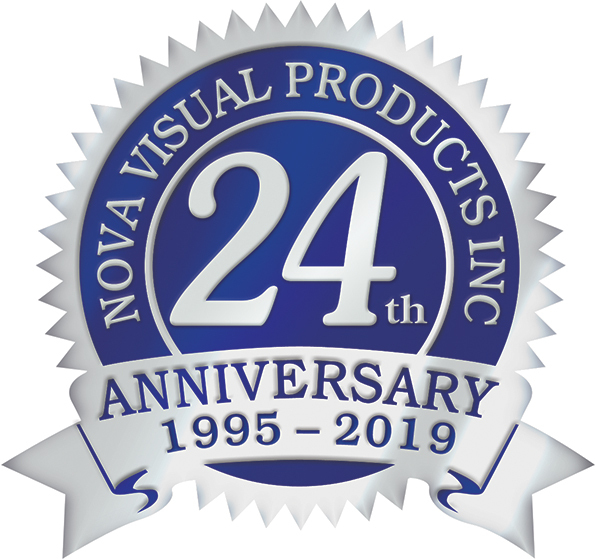 From technology to people, time changes everything, and when that happens, Nova Visual Products can assist new staff learn how to use the AV, presentation audio-video conference products and systems you have. Like all our services, we’ll provide what’s needed, what fits your budget and specific requirements. Nova Visual Products is a great source for parts and installation materials for projects you’re doing on your own. Cables, connectors, extension cables of all types, mounts, piping, cable-coverings, etc…always in stock. Establish internally a process for authorizing payment, (ie: credit card or purchase order) prior to making a service request, so there are no delays preventing us from responding in a timely fashion. Appoint one or two individuals from your team to be the primary contacts for all service requests at your facility. Contract Service Agreements with Nova Visual Products in advance of projects being completed or to support existing equipment you already have.